The Lighthouse | Oh Danny Boy! 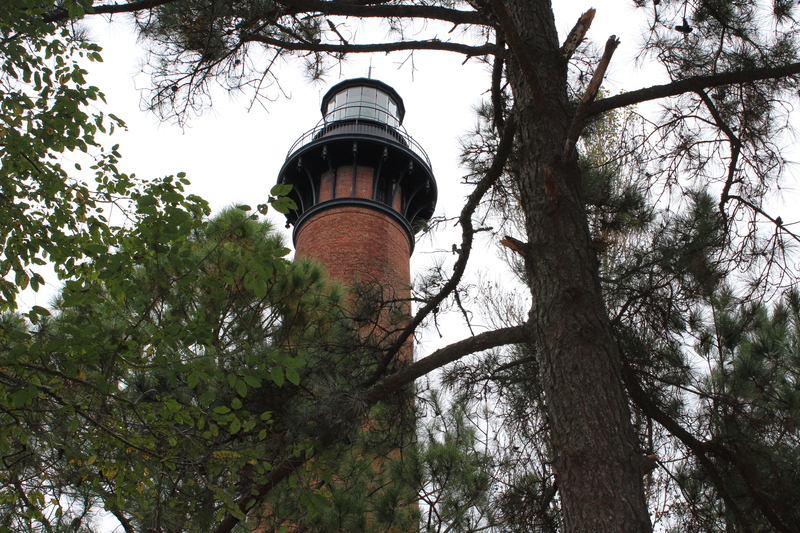 They built this lighthouse here at Currituck Beach, North Carolina in 1875, two years after I died. All aboard my ship, The S/S Deutschland perished. Our ship had left Hamburg with its destination being Savannah, Georgia. Our crew had heard stories about ships lost in the treacherous waters off of the Outer Banks. In the Northern Outer Banks ships travelling close to shore to avoid the swift and tumultuous Gulf Stream could easily get shipwrecked against the shoreline, as the miles of Currituck’s barrier island was relatively uninhabited, with nothing but dark coastline to confuse and disorient the passing sailors. In this state of vexation we continued our journey. Our Captain, Jeremy Lands, had decided to take this chance to shorten our arrival time by two days. This was due to the news of the new colonists experiences were in all the newspapers and letters from friends and relatives who had gone to America were circulated far and wide in Germany. There was free land and opportunities available to those willing to take the risk. Many had very little to lose by the venture, but much to gain. The consistent encouraging personal letters coming back gave people confidence to take the chance. The sailing from Hamburg had been smooth until we hit the Gulf Stream around Pea Island, North Carolina. Instead of continuing south-west towards Savannah we were sucked close to shore and the full force of the winds forced us in a northerly direction. We felt that if we were able to navigate further out to sea we could then return on a southern heading again towards Savannah. However, the effect of the Gulf Stream and a fierce westerly wind resulted in our ship being trapped and then crushed against those rocks you see beyond the lighthouse. Two years later on December 1, 1875 the lighthouse would first glow as a beacon to passing ships. This entry was posted in Flash Fiction, Musings, NaBloPoMo and tagged Flash Fiction, NaBloPoMo by Danny James. Bookmark the permalink. Danny nicely done historical piece. The lighthouse has served our shores well. Looks like I overlooked your comment. Sorry. Yes, lighthouse have served us well. I’m lucky to live in one that has 7! Love the lighthouse. Love Currituck Beach! Thanks for making my morning!